Healthy baking? A lot of people think that this is an oxymoron. And to them I say…Give me cookies or give me death! Baking is by far one of my favorite things to do…banana bread, muffins, oatmeal raisin cookies…you name it I bake it. 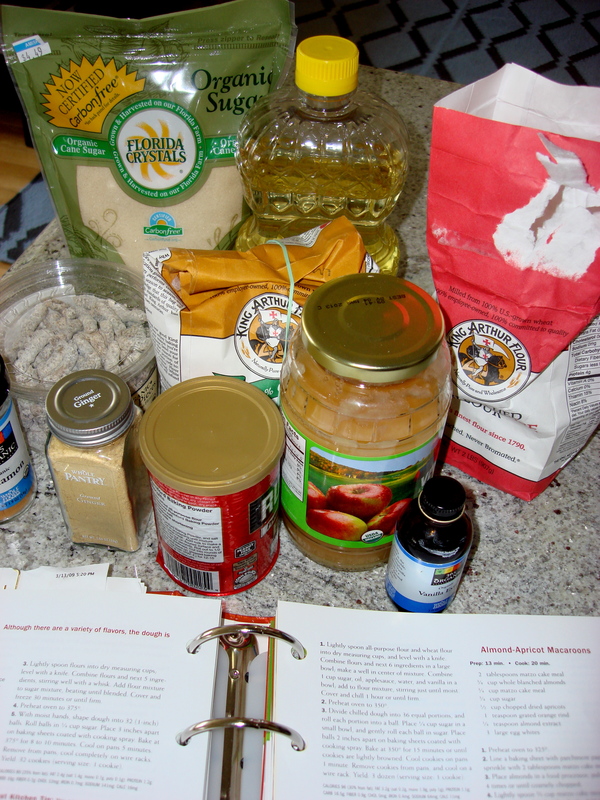 The trick is substituting high fat products (such as tons of oil and sugar) for things like egg substitute, applesauce (for the oil), and healthy ingredients like whole wheat flour. This turns treats that would normally be fat and sugar bombs, into something wholesome and delicious. For today’s recipe, my boyfriend, D’s mom L, who is a fabulous blogger herself and loves healthy, organic food and ingredients, requested that I bring some baked treats for Friday night dinner. The following recipe is dairy-free, and as L is kosher (can’t mix milk and meat), it is a treat that she can enjoy any time! Below is a recipe that I found on www.cookinglight.com (a favorite website of mine for healthy recipes!) for Cinnamon-Spiced Date Cookies. At only 96 calories, and 3 grams of fat per cookie, these treats are a steal. They are also made with dates which are a great source of fiber, low in fat, cholesterol and sodium, and have more potassium than bananas! Lightly spoon flours into dry measuring cups, and level with a knife. Combine flours and next 6 ingredients (flours through cinnamon) in a large bowl; make a well in the center of mixture. 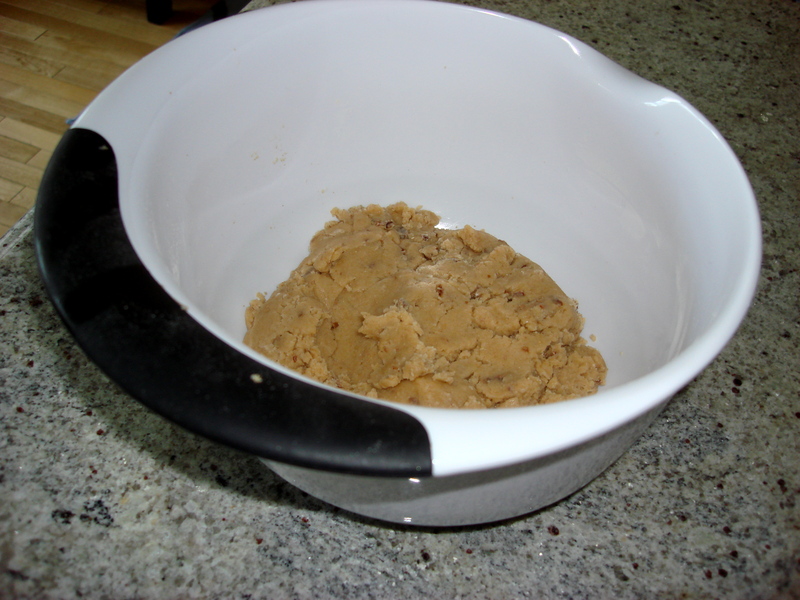 Combine 1 cup sugar, oil, applesauce, water, and vanilla in a bowl; add to flour mixture, stirring just until moist. Cover and chill 1 hour or until firm. 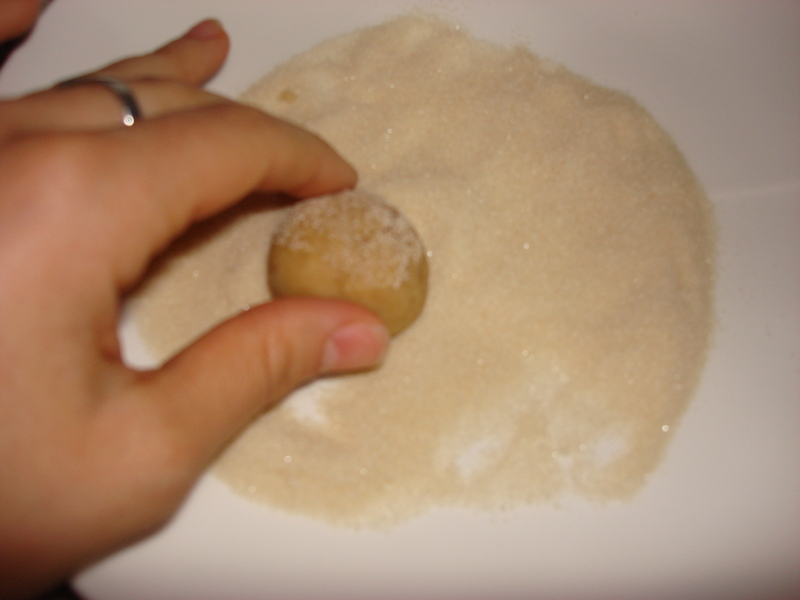 Shape dough into 36 balls, and roll the balls in 1/4 cup sugar. 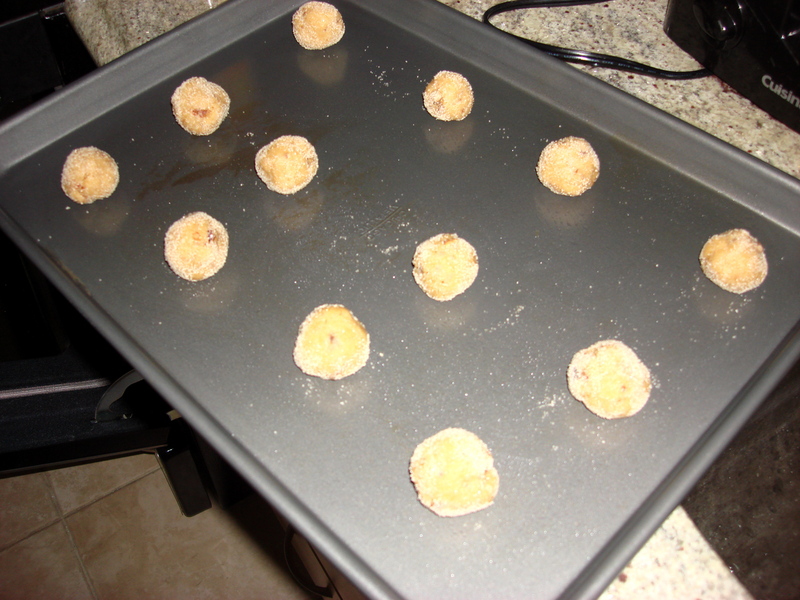 Place the balls 2 inches apart on baking sheets coated with cooking spray. 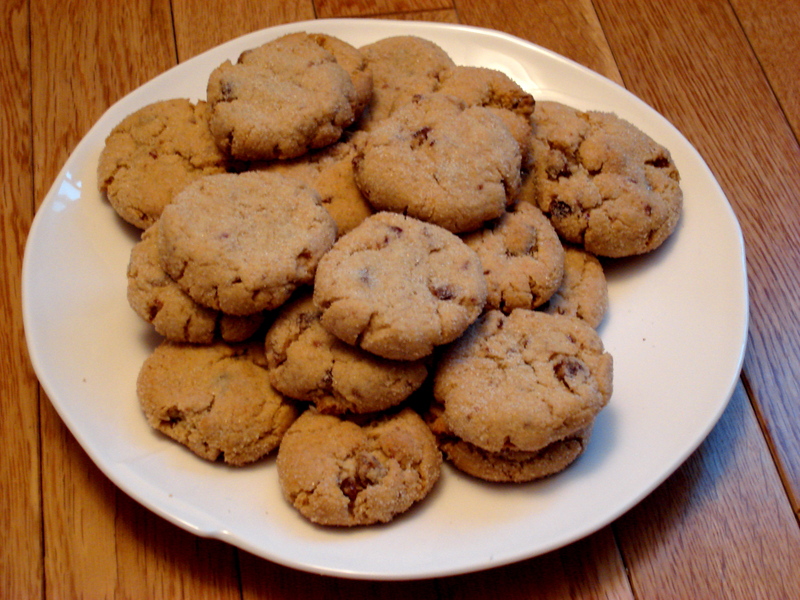 Bake at 350° for 15 minutes or until lightly browned (be careful here because these cookies can overcook! I suggest checking them at the 12 minute mark). Cool 1 minute on pans. Remove from pans, and cool on a wire rack. 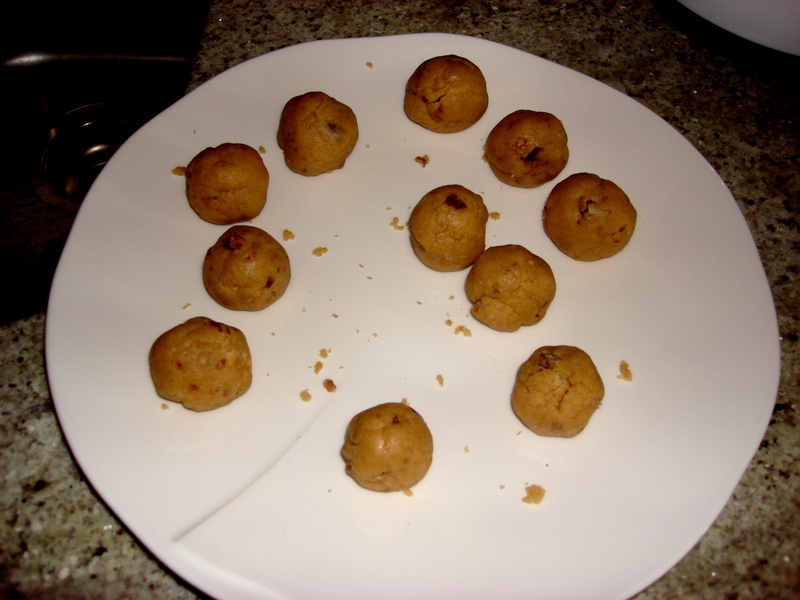 * Note…When making these I pushed the dough slightly downward on the cooking sheet so they looked less like a ball and more flat. Just don’t eat them all in one sitting! can’t wait to eat’em! Thanks, in advance! !